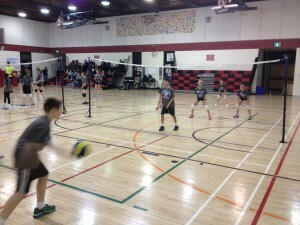 Mighty Mites 12U – WinMan Volleyball Club | A non-profit organization promoting the sport of volleyball in Winnipeg and surrounding areas. 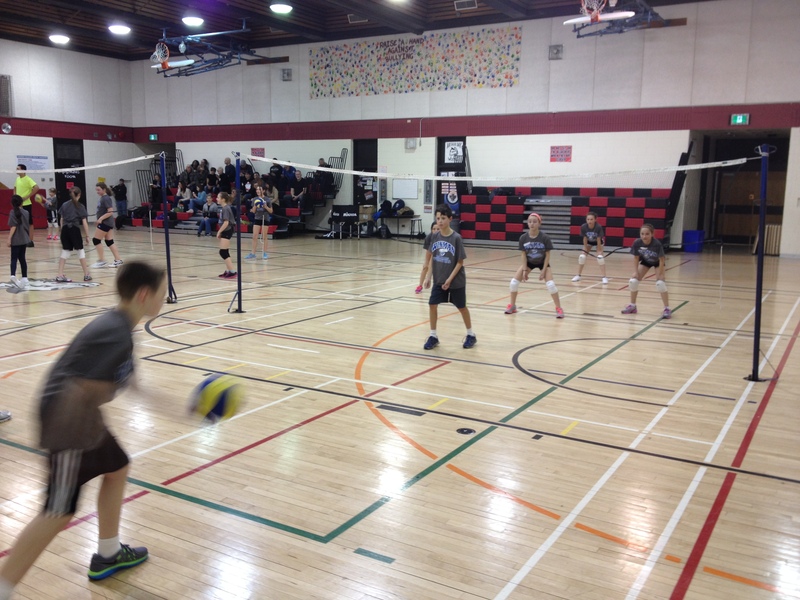 The WinMan Mighty Mites is a 12 & Under volleyball program designed as an introductory program for boys and girls in grades 4-7. 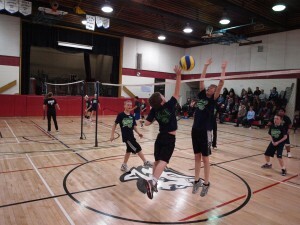 The WinMan Volleyball Club (WVC) is an elite club in Manitoba that has in roots in club volleyball since 2001. WinMan Volleyball Club offers club programs to athletes in the 13 & Under to 18 & Under age categories. 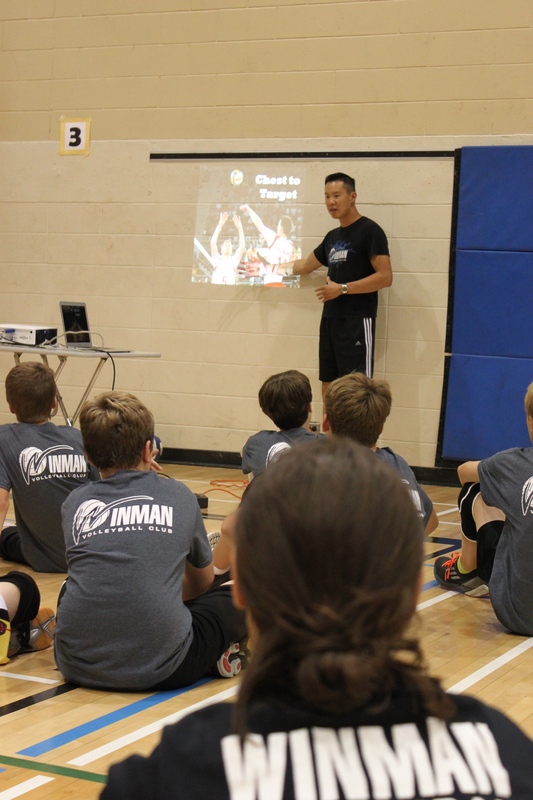 In accordance to the LTAD (Long Term Athlete Development) model, which is an initiative by Sport Canada and Volleyball Canada, WinMan Volleyball Club serves to be a progressive club once again by researching and following recommended training practices by the world’s elite in Sport Science. 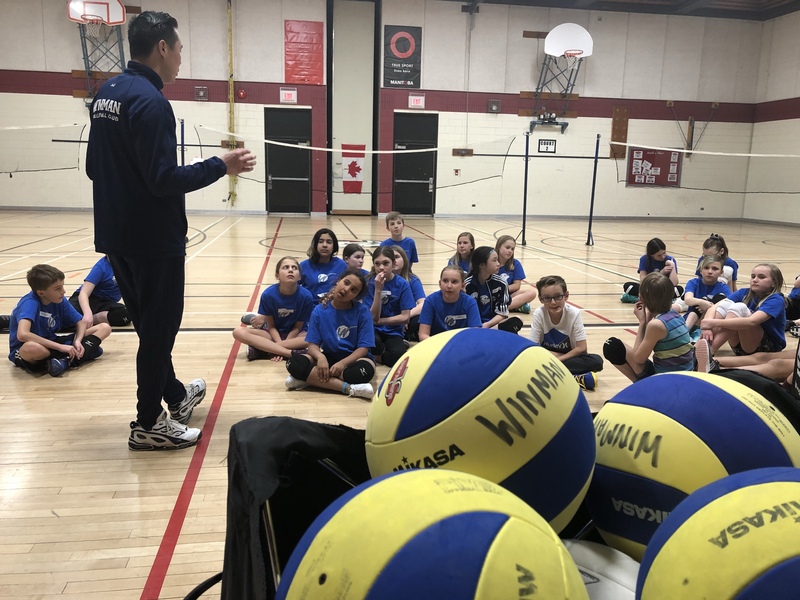 Generally, WinMan Volleyball Club serves as a developmental –elite program in the sense that our main focus has been on athletes at the “Training to Train” stage. We are an elite club, but our main focus has been in athlete development. We have had many successful athletes go on to “Train to Compete” and the “Train to Win” stages in our sport. As a club, we felt that we would offer programs near the beginning of the continuum of athletic success, and that is to offer a program for athletes between the ages of 9-12, or the “Learn to Train” stage. It is our hope that graduates from the WinMan Mighty Mites program will go on to our competitive teams at the 13-18U age levels. 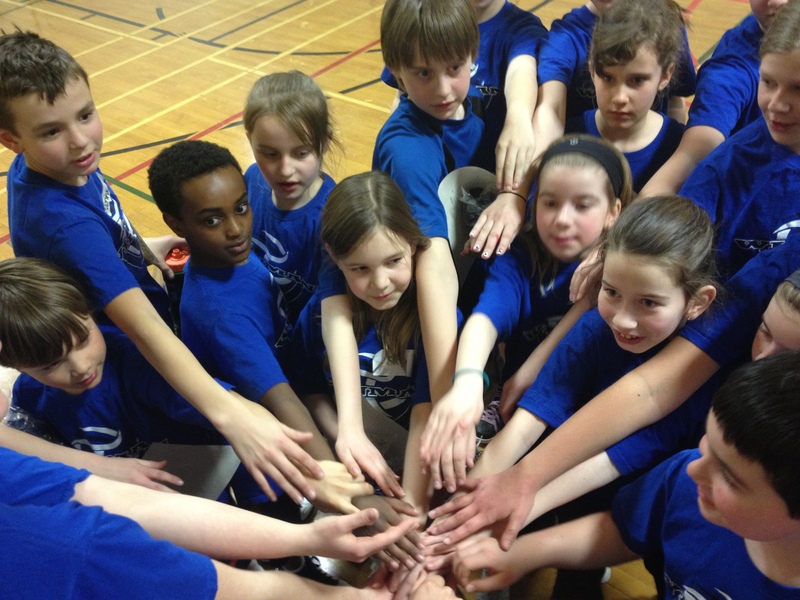 Mega Mighty Mites is a program for those Grade 6 athletes who successfully completed Mighty Mites in previous years. We will also accept registrations from athletes in Grade 7 who are looking for this enrichment opportunity. The head coach of this program is Mr. Tim Au. Tim is an experienced Physical Educator who teaches at Miles Macdonell Collegiate. Tim has taught Physical Education at both the Middle Years and Senior Years level. Tim has over 21 years of coaching experience at the grassroots, developmental, and elite levels. Tim has won numerous club provincial championships, and his teams have medaled each spring at the National Championships since his first club coaching experience. Other accolades include coaching the Team Manitoba Canada Games Gold medalists in 2005, numerous conference championships at the middle years and Varsity level, as well as a MHSAA Provincial Championship with his Varsity team in 2008 and 2011. Tim was named the MVA Age class developmental coach of the year in 2003 as well as the MVA High School coach of the year in 2008. Tim will be assisted by former or current WinMan athletes in high school and University. The focus will be on “learning how to compete” which will be accomplished through the latest pedagogical training methods that will be employed by the coaching staff. Most of all, there will be a huge focus on FUN, so that we can promote a love of physical activity, a love of volleyball, and also develop valuable life skills along the way. Cost: $135 per athlete. Payable online. 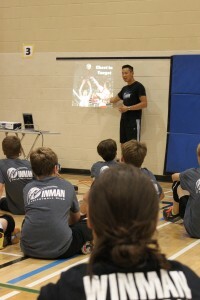 Please contact Tim Au at winmanvball@gmail.com if you prefer to pay by cheque or e-transfer. Registration is not considered complete until payment is received. Registrations are limited to 32 participants in each session to ensure optimal learning environments. Registrations will be processed on a first come first serve basis. Planning for all WinMan camps and programs is based on current enrollment numbers well in advance of the camp/program start date. As a result, no refunds or cancellations are permitted, except for medical reason. If a player is unable to attend the camp/program (and notice is given prior to the start date) due to medical reasons, he/she will receive a refund for their full amount paid less a $35 administration fee. A doctor’s note is required to substantiate this type of cancellation, and this note must be provided within 1 week of notification. REGISTRATION for the 2019 Program is now OPEN. Mighty Mites registration pages are found on Page 2 after you scroll down the registration page. Please email Tim Au for more information.